Barra FC drawn against Barcelona and Man City in UEFA Champions League. In an effort to generate some press that doesn’t involve corruption scandals or prostitutes UEFA has agreed to allow Uist and Barra bagshot league winners Barra FC entry to the Champiosn league group stages. 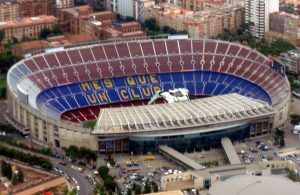 The island’s population of under 2000 people would all be able to fit into the Nou Camp toilets at once. The club have been quiet as to what they will do with the coming £20 million in earnings but allegations about offshore bank accounts in the “Guth Bharraigh” have been swiftly denied. “They are all offshore bank accounts”.